The Spirit of the Goat has reappeared in Gotham to murder the rich children of Gotham. The Goat case was considered solved ten years earlier when Harvey Bullock gunned the mask killer down. Is a copycat killer continuing where the Goat left off or has the Spirit of the Goat returned from the dead to find a new host? Can Harvey and Jim solve the mystery before the Goat strikes again? 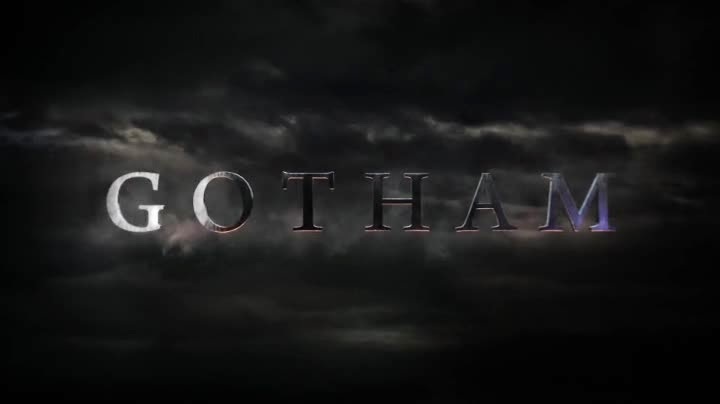 Why does Gotham tease me so? Every time something good happens in the program something stupid undermines it. 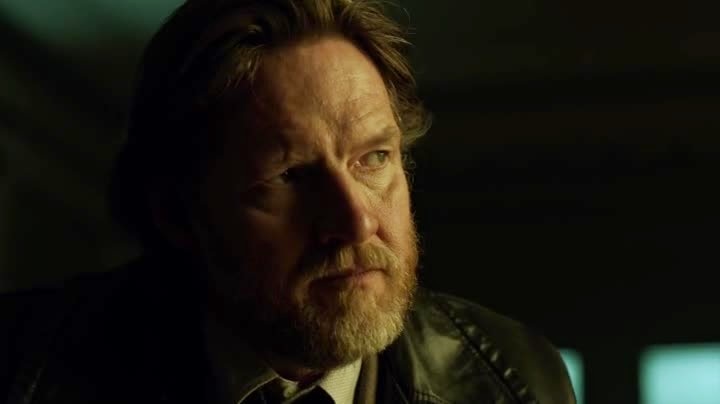 This week’s episode makes a real effort to expand the character of Harvey Bullock. We see a flashback to ten years ago, when Bullock was idealistic and wanted to save the city. We then skip forward to the present day and follow the older, less honourable Bullock having to investigate the same case. This idea works well as it allows us to see the good in Bullock and his reawakened passion in trying to solve the case. The problem comes in that the case is painfully easy to solve. Within seconds of being introduced to the ‘real’ killer I guessed the final twist of the episode. Now even assuming that Bullock couldn’t immediately solve the case in this way, he seems to miss vital details. Harvey and Jim know that the original Goat had keys to the victims’ houses. They also know that the new Goat can get into houses without forcing their way in. 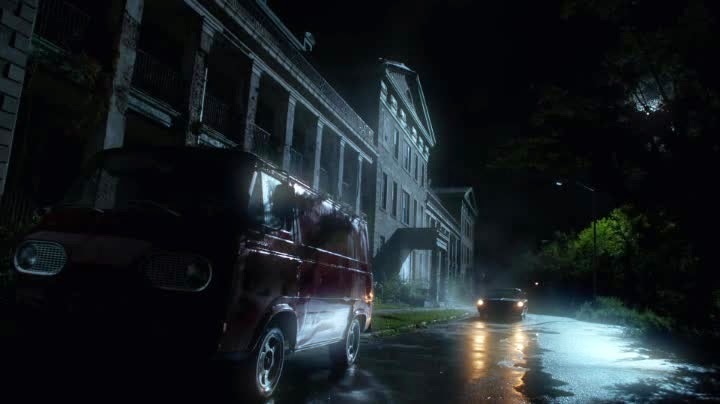 It bothers me that Jim and Harvey have to talk for several minutes to figure out that maybe the new Goat also has keys to where the victims live. The police also don’t think to investigate the original locations of the Goat murders. I would assume that if a copycat killer were operating you would consider checking out the previous locations he killed people in? It’s nice to see the character of Bullock being given a redemptive arc but this episode largely undermines it by making him look incompetent. While Harvey is obsessing with the case, Jim has his own problems. He is attempting to fix things with Barbara but this is complicated as Montoya and Allen, of the Major Crimes Unit, have finally managed to get a warrant for Gordon’s arrest. It’s nice to juxtapose Harvey’s redemption with Jim’s possible fall. That being said, this element of the plot takes the back seat to Harvey’s story and it might have been better served with its own episode. 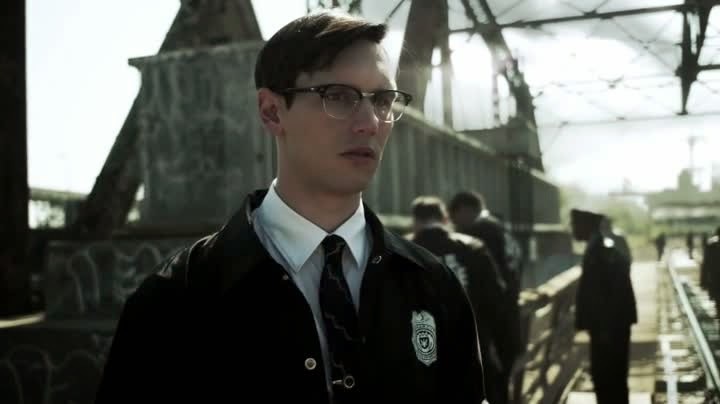 Edward Nigma is vastly expanded in this episode, his compulsive nature demonstrated. I’m curious about his obsession with his co-worker, Christine Kringle and where this plot point is going. Nigma seems to be presented as somewhat comedic at this point; I hope that he doesn’t become a completely comedic character. 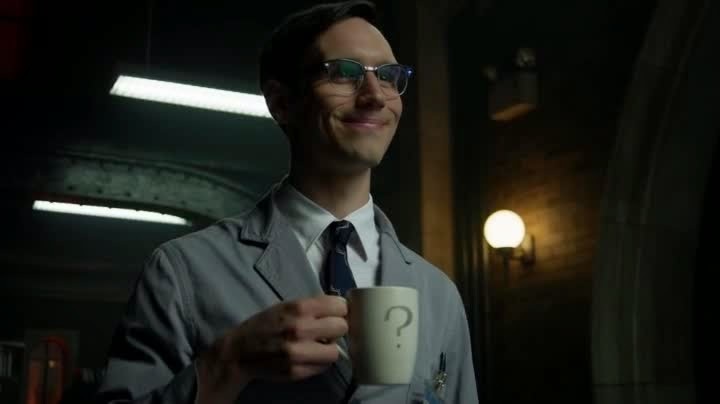 As much as I laughed, Nigma’s question mark mug fills me with concern. Oswald Cobblepot finally visits his mother in this episode and things get weird. 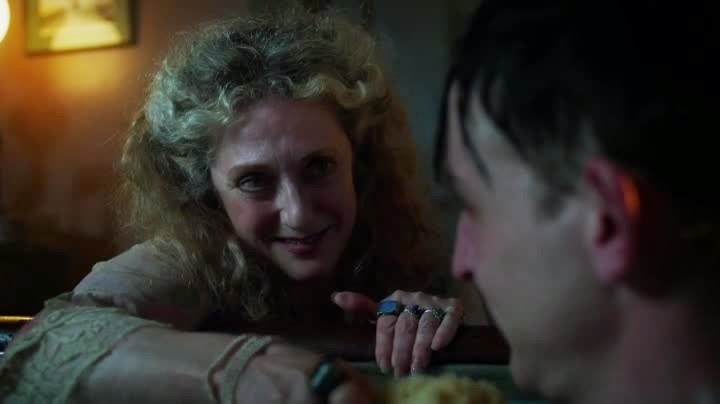 Mrs Cobblepot and her son have a very strange, almost oedipal relationship. As much as this episode possibly over egged this theme, it was good to show the unconditional love of his mother. It’s easy to see why the Penguin thinks of himself as a king, given that he was brought up to believe that he is one. Jim and Harvey’s stories intersect as all the plot points of the episode converge. The cliffhanger to this episode is pretty strong but it has already been used once already in an earlier episode. Overall this episode was reasonably strong but it could have been a lot stronger. Failed good ideas still started life as good ideas and hopefully Gotham will learn from its mistakes.